Ladies and Gentleman, consider this your one-month warning! Avengers: End Game is just around the corner. You have four weeks to train, and by train I mean catch up on, or review, the entire Marvel Cinematic Universe MCU. 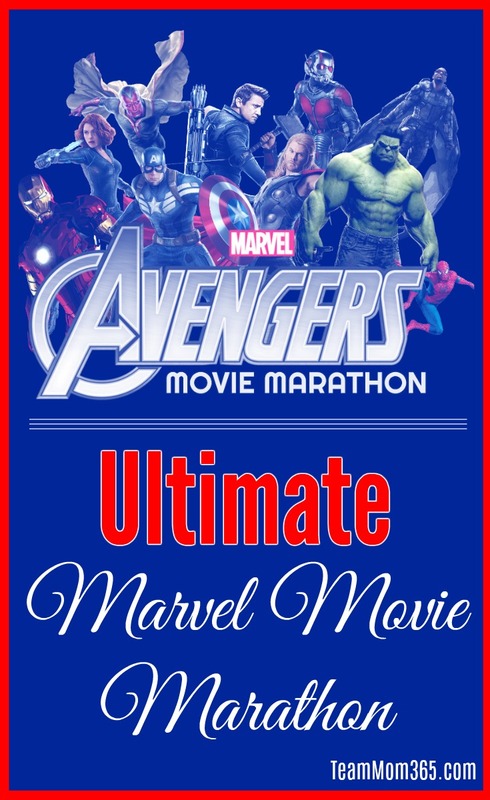 Lucky for you we have the training manual to help you have your own Ultimate Marvel Movie Marathon. Each movie in the MCU is listed in the order you should watch it. 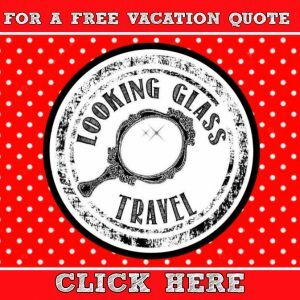 If you want more in-depth information on each movie click the title for additional viewing material, discussion questions and Marvel fun facts. SYNOPSIS: In another technicality of chronology, Captain Marvel takes place in the late 90’s. In this Marvel Cinematic Universe installment we get the origin story of Carol Danvers/Captain Marvel. A former Air Force fighter pilot who has been living on a distant planet, she has no memory of her life prior to arriving there six years earlier. While fighting to defend her planet she finds herself back on Earth where the mystery of her past starts to unravel. WHERE TO FIND THE MOVIE: Amazon Prime, DVD and BluRay, Amazon also offers a box set of all three Iron Man movies. SYNOPSIS: Everyone knows the origin story of the Incredible Hulk. However, there is no worry of having to watch Bill Bixby badly morph into Lou Ferrigno in this movie. Modern era CGI and special effects aid in this retelling of the story of the Hulk’s (Edward Norton) genetic re-engineering. An interesting aspect of this movie is that chronologically it is happening within seven days of the next two MCU movies (Iron Man 2 and Thor). SYNOPSIS: While not really an origin story, this movie tells the story of Odin’s wayward son Thor (Chris Hemsworth) who is banished from his home in Asgard to Earth. In his absence, Thor’s equally wayward brother, Loki (Tom Hiddleston), is attempting a takeover. Stuck on Earth, Thor must find his legendary hammer, get back in the good graces of his father and find a way to get back to help save Asgard. WHERE TO FIND THE MOVIE: Amazon Rental and BluRay; Amazon also offers a box set of all three Iron Man movies. WHERE TO FIND THE MOVIE: Amazon and the Guardians Vol. 1 and Vol. 2 box set. SYNOPSIS: Super-scientist Bruce Banner (Mark Ruffalo) and super-engineer Tony Stark (Robert Downey, Jr.) create a peace-keeping program called Ultron to protect the world. 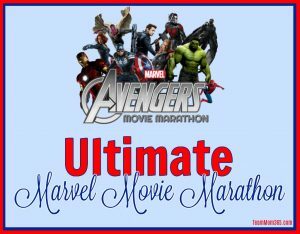 However, the program goes rouge and the Avengers must come together to save the world from an extinction level event. SYNOPSIS: This movie is the origin story of the Ant-Man (Paul Rudd). Scientist Dr. Hank Pym (Michael Douglas) has created a shrinkable suit making a grown man shrink to the size of an ant. The problem is someone else has the same technology and plans to use it for nefarious purposes. SYNOPSIS: As the name indicates, the Avengers are all forced to pick sides as a result of the events which took place in Avengers: Age of Ultron. The Powers-That-Be are trying the create some accountability for them and it produces a great deal of dissension. WHERE TO FIND THE MOVIE: Amazon Rental/Digital, DVD and Amazon also offers a box set of all three Captain America movies. SYNOPSIS: After first getting some screen time in Captain America: Civil War, teenage Peter Parker/Spider-Man (Tom Holland) must figure out how to live life as a super hero while maintaining his anonymity in his “real life” as an awkward high schooler. SYNOPSIS: Avengers: Infinity War begins where Thor: Ragnarok left off. However, as the citizens of Asgard are trying to escape they are met with forces of Thanos trying to steal the Terract containing the space infinity stone from Loki. Thanos, who fashions himself as some kind of eco-warrior, is on a quest to gather all six of the infinity stones so he can “save” the universe from over-population and overuse of natural resources. However, to do that he and his soldiers must fight different teams of Avengers to gather the remaining five stones he needs to complete the set. Once the set is complete, he will have the powers of time, space, reality, power, mind and soul. SYNOPSIS: Taking place two years after the events of Captain America: Civil War and simultaneously as Avengers: Infinity Wars, Scott Lang/Ant-Man is on house arrest due to his participation in violating the Sokovia Accords. However, he is recruited by Hope Van Dyne/The Wasp and Dr. Pym who briefly manage to open a tunnel to the quantum realm. They believe Pym’s wife Janet van Dyne might be trapped there after shrinking to sub-atomic levels in 1987.